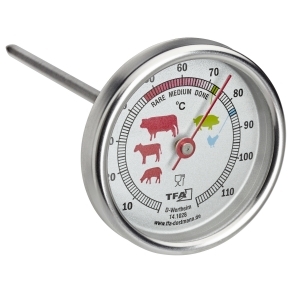 Meat and poultry perfectly cooked! 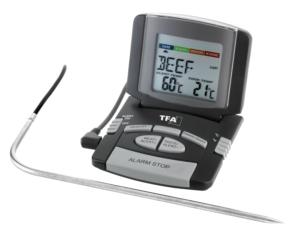 Cook like a professional with 100% guarantee of success. 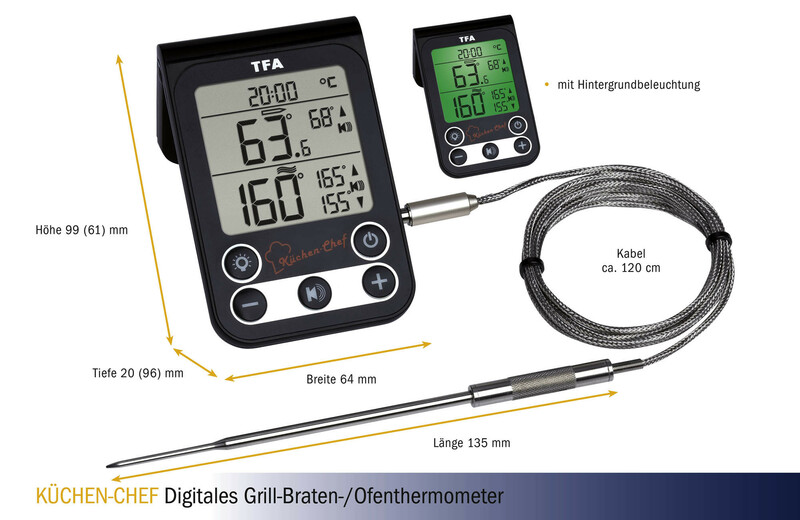 This is because the digital 2 in 1 BBQ meat/oven thermometer KÜCHEN-CHEF informs you when the right core temperature is reached and your meat has reached the perfect doneness. 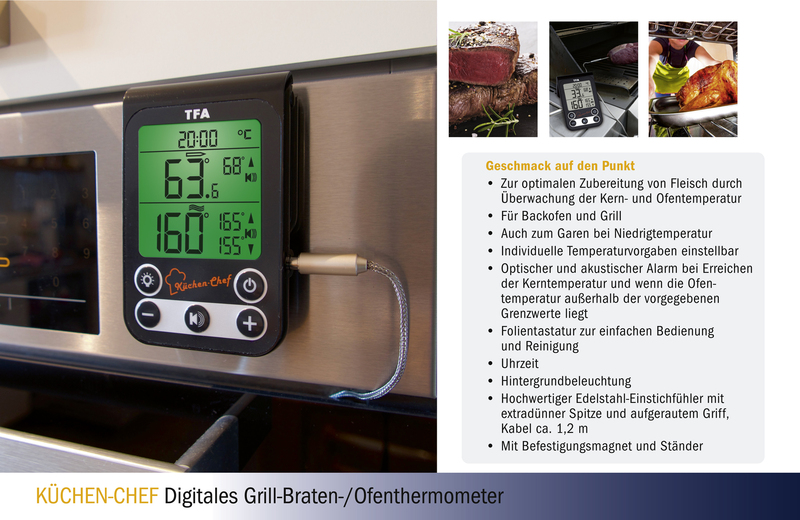 At the same time, you can monitor the oven maximum and minimum range. The high-quality stainless steel penetration probe can remain in the oven or bbq grill during the whole cooking process. 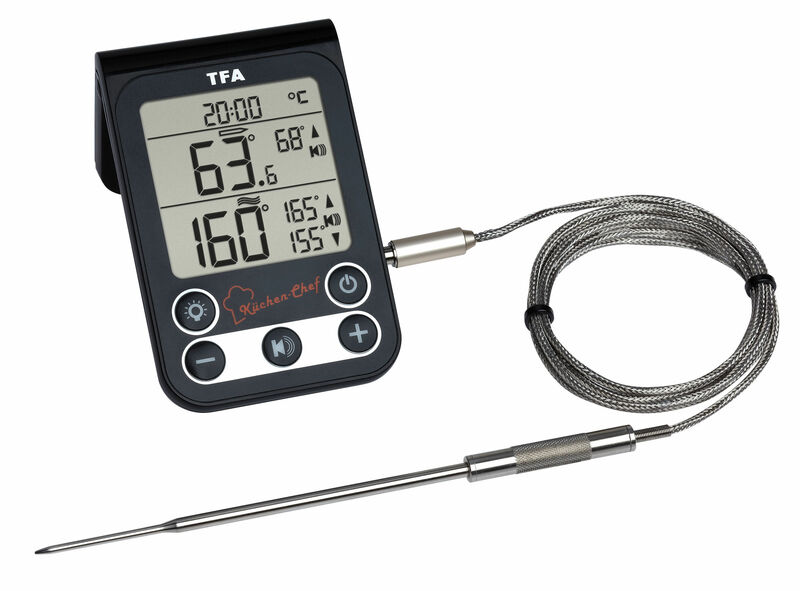 Simply insert the probe into the meat and lead the heat-resistant cable lout of the oven. 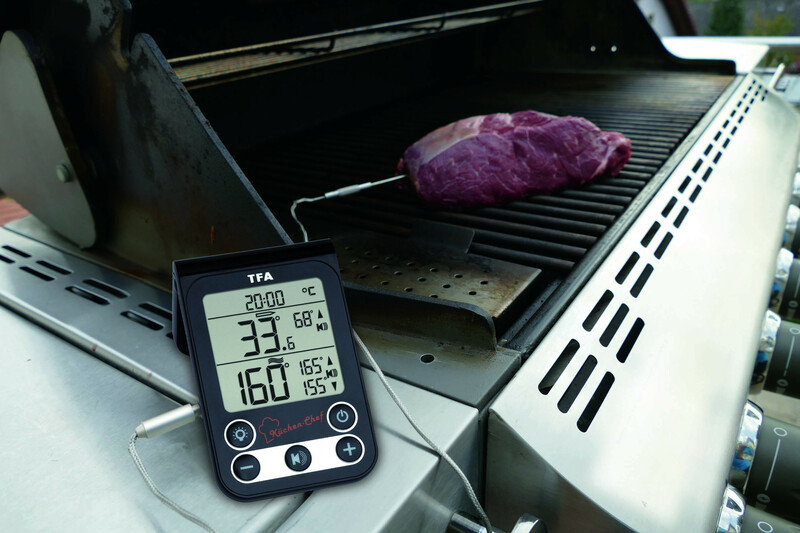 The extra-thin probe tip ensures fast measurement and protects the meat structure. 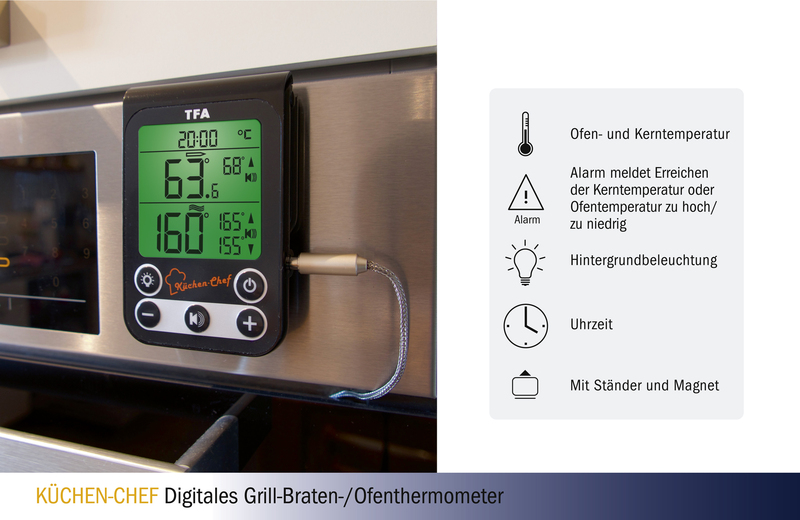 When the desired core temperature is reached – or the oven temperature is not within the programmed range – you will be notified by a beep. 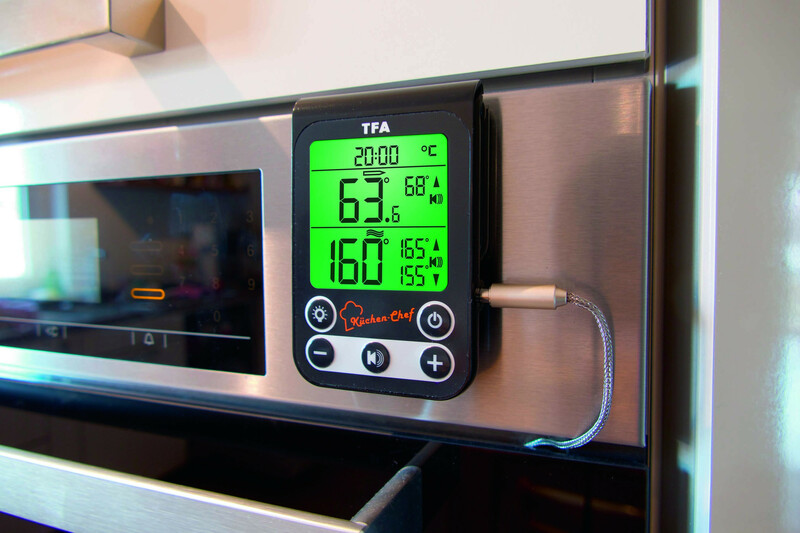 Place or hang the appliance near the oven. 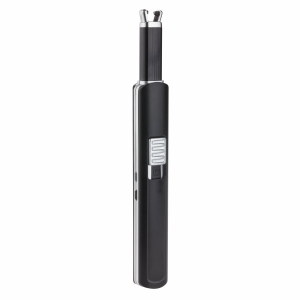 The device is easy to use and very easy to read thanks to the brightly illuminated display. 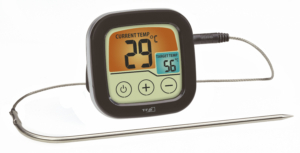 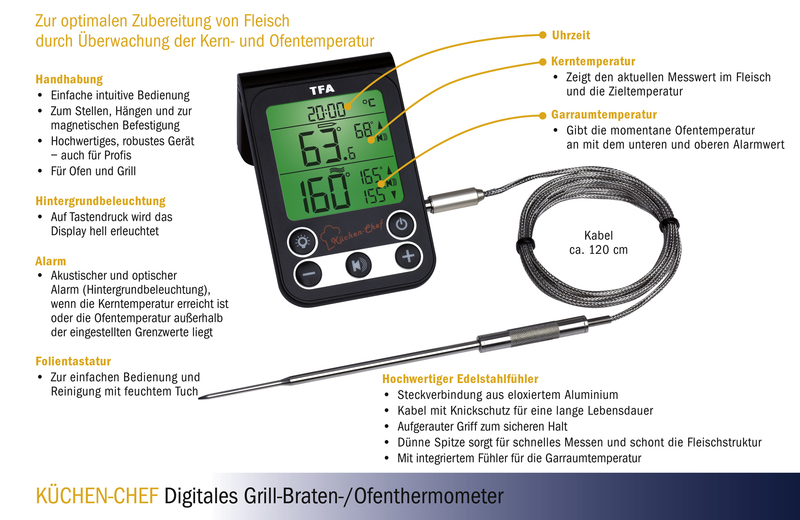 The KÜCHEN-CHEF is also ideal for cooking at low temperatures.